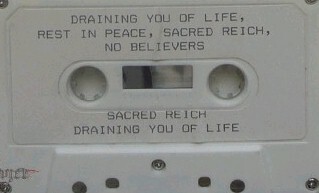 One of the frontrunners of the 80's Thrash boom, Arizona's SACRED REICH scored notable success particularly in Europe with their 'Surf Nicaragua' mini-album. SACRED REICH was founded at Coronado High School in Scottsdale during 1985 by vocalist / bassist Phil Rind, guitarists Jeff Martinek and Jason Rainey and drummer Greg Hall. 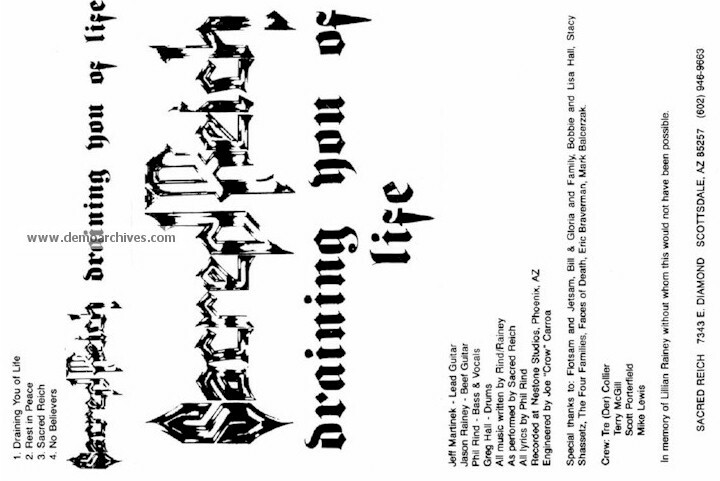 The group debuted in late 1985 with a four track cassette demo entitled 'Draining You Of Life'. It was intended for then singer Dan to put down vocals but an illness prevented his participation, necessitating Rind stepping up to perform singing duties. At this juncture, Martinek had a change of heart and opted out for a military career. This vacancy was plugged by Wiley Arnett. 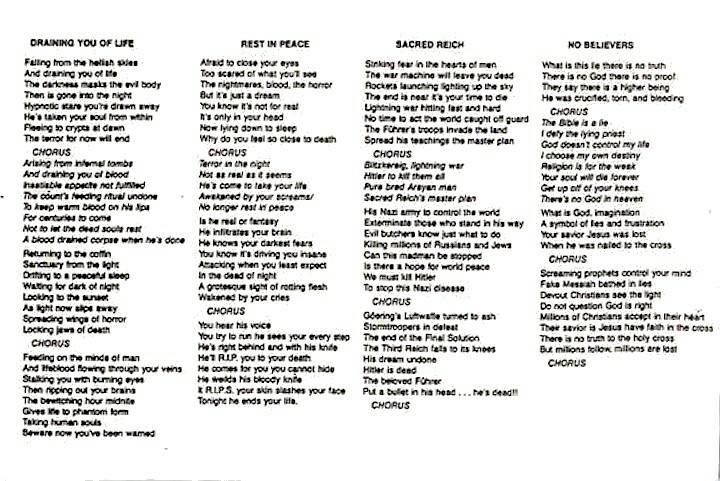 The songs 'Sacred Reich' and 'Ignorance' were given the benefit of a re-record and, with strong support from FLOTSAM AND JETSAM's Jason Newsted, the track found inclusion of the Metal Blade compilation album 'Metal Massacre VII'. From here, the group soon snagged a deal with full-blown album deal with Metal Blade. The debut 'Ignorance' album was released in October 1987. From this point, Sacred Reich, managed by The Bootlegger club owner Gloria Bujnowski, launched into a relentless touring schedule.